We’re all on a journey. When you look back on yours, whose faces do you see? A teacher. A mentor. A coach. A supporter. Who stepped forward to help you figure it out, find a focus, and reach for more? The following narratives are of people who—through their examples and actions, sometimes intentional and sometimes not—empowered our employees to help others achieve more. As a female black engineer raised in a small town, Natalie Hurks knew the importance of role models and was determined to show her cousin Tareq Humphrey what was possible for him. Royce Martin pushed himself hard for the sake of his family. His daughter, Heather Dowdy, now refuses to accept the easy path in her pursuit of technology for people with disabilities. Eris Northern possessed an uncanny ability to see into her students’ future. When promising student India Powell wasn’t sure of her next step, Ms. Northern was there with a guidebook. Teacher and renowned New Orleans artist Richard Thomas inspired a teenaged Howard Robinson to take risks, see a future filled with more, and—as an adult—look out for others. At Microsoft, we’re driven to empower others, to make others’ lives the best they can be. And often, our inspiration comes from those who’ve supported us to become who we are today, as you can see from our employees’ posts below. 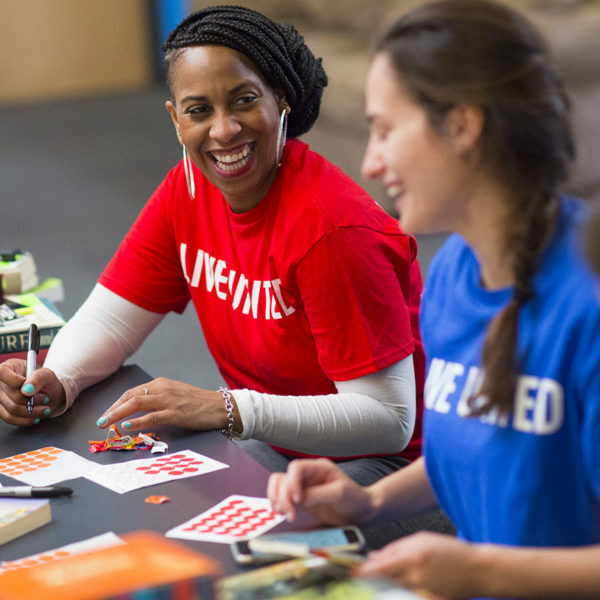 See more ways we’re working together to make a lasting positive difference. Meet the people whose talent and experiences shape the way we work. Discover how we’re addressing the issues behind social and economic exclusion. Understand our commitment to strengthen communities and protect our planet. Explore the latest tech that has the potential to change the world.